SUMMARY: Paris Air Show 2015 is done, the winners were again the duopoly of Airbus and Boeing with 752 orders ($US 107.2 billion at “list price”) out of a total of 958 orders. The BIG loser was surely Bombardier which finally after 7 years from its launch, made its debut with both the CS100 and CS300 airliners, but left the show with 0 (zero) in new orders for their CSeries, Q400 and CRJ’s brands, which should be worrying, but after the show Bombardier said it was “absolutely satisfied”, with what ? The fact it had to choose the little known, barely profitable, Latvian government owned airBaltic as its launch customer for the CS300 (13 x CS300’s on order and 7 options) says novels about the poor quality of its order book. The airline’s order has a “list price” value of $US 1.44 billion, yet this airline has made a profit of only $US 11 million in the past 5 years on revenues of $US 688 million (1.6% net profit margin) ? unfortunately they have no “better” airline for such an important role. 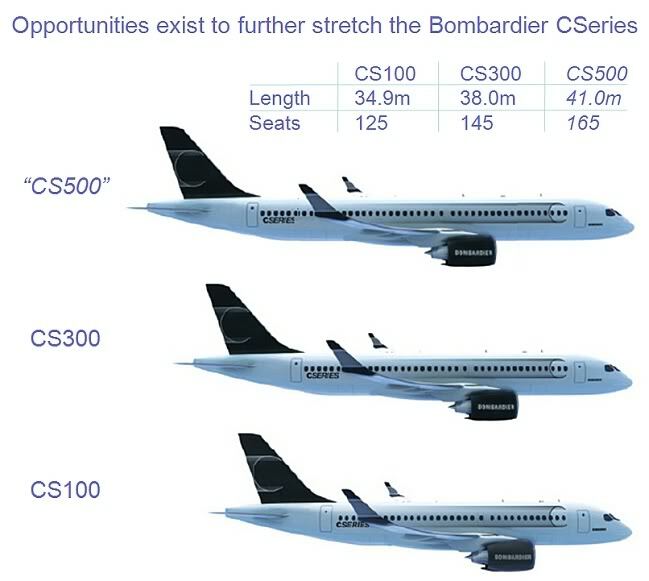 Meanwhile Bombardier now seriously talks of a stretched 160-180 seat CS500 to challenge Boeing and Airbus ? really ? it’s stock price keeps dropping, (TSE:BBD/B) is at $C 2.25 today down 45.8% YTD (year to date) and the corresponding drop in market capitalization to only $US 5.11 billion, investors are worried and Bombardier wants to spend more money on a CS500 to take on the big duopoly of Boeing and Airbus head on in the most lucrative market, the single-aisle/narrow-body segment ? Individual losers were the A380, A350-1000 and the MRJ, with no new orders, while little known Viking Air of Canada announces 50 “orders” from China for its pricey $US +7.5 million Series 400 Twin Otter even though the Chinese have a similar, good performing, FAA certified and cheaper Y-12E ? Embraer celebrated its 2 year anniversary at Paris of its E2 launch, booked 25 E2 orders at the show and now has 325 firm orders, while the CSeries is now 7 years past its launch (July 18, 2008) with only 243 firm orders, but realistically it is only 130 orders at best. ATR books 46 orders and 35 options at the show, as it solidifies its market dominance in the large turboprop market segment after 160 firm orders in 2014. Sukhoi’s SSJ-100/95 gets an order for 3 as shamefully up to 33 “white tails” (out of 85 delivered, or 39% of delivered aircraft) await customers even with price discounts of 56%, while the program struggles with production, sales, marketing, corporate governance and politics, as 51% partner Finmeccanica (Italy) is restructuring and understandably contemplating its exit from the Italian-Russian joint venture and surprisingly it also has doubts on its future with the very successful ATR program where its fully owned subsidiary Alenia-Aermacchi is a 50% partner with Airbus Group. Airbus and Boeing want to increase production of single aisle/narrow-body airliners (B737Max now has 2,773 orders and A320neo has 3,854 orders) to a possible 115 per month (Boeing to 52, Airbus to 63) by 2018 ! is that over optimism in this unprecedented period of growth ? can the already over extended supply chain even handle the extra work ? With an average monthly delivery of 112 aircraft in 2014 of all sized aircraft by both OEM’s (1,349 units), the latest Boeing 20 year forecast of 35,560 aircraft would translate to an average of 148 aircraft per month for all sized aircraft by both OEM’s, an increase of 32% on 2014 delivery numbers, with new orders in 1st half of 2015 already down on 2014 ? What role do speculative orders play in this order frenzy ? Deals at Paris are always quoted in List Prices but who is getting a good deal ? are you getting a good deal ? how do you know you got a good deal when almost everyone gets a discount, no one pays List Price and it is all so secretive, so how low can Boeing and Airbus go ? how about 64% off on big orders ? yup, enough to make sure that new competitors like the CS500, C919 and MC-21 do not win orders based on price. Lastly, Russia’s aggressive stand against NATO is seriously raising tensions in European countries on the Russian border, since 2008 Russia has annexed and integrated 4 Russian speaking enclaves/territories from 3 of its neighbors (Georgia, Moldova and Ukraine), now open conflict is a real possibility, and Russia’s military thinks a small tactical nuclear response today is possible without triggering a WW III ! in this political environment it is time for tough economic sanctions on Russia and especially its aerospace industry, the Sukhoi SSJ-100 is getting lots of financial support from President Putin, as it is the only Russian commercial aircraft ever built with any western appeal. It is time to stop buying Russian aircraft and stop ALL support for Russia’s aerospace industry, as any military conflict with Russia will make corporate profits absolutely irrelevant anyway ! With the 2015 Paris Air Show now behind us, it is worth to look at the final results of the big aerospace event and analyze the winners and the losers as it gives a pulse on which OEM’s are on top of their game and those that are not. **NOTE: the 130 orders for 125-149 seat A319neo and B737-Max7, this is the segment Bombardier wants to sell its CS100/CS300 in, looks interesting ? I don’t think so, not for a production run of 120 CSeries a year anyway. The big interesting orders were from LCC Wizz Air for 110 x A321neo’s on the last day of the show, Garuda (Indonesia) with dual strategy of buying 30 x B787-9’s and 30 x A350’s plus 30 x B737Max8’s, while Saudia (Saudi Arabian Airlines) becomes the launch customer for 30 x Airbus A330-300 Regional, a optimized high, short high density routes version of the A330-300 with seating for up to 400 and a range of 3,000nm, was designed for China’s domestic market, but Saudi was the 1st customer, China will follow. Ethiopian Airlines takes 6 troubled early built B787-8’s with RR Trent 1000 engines that have been sitting around Seattle with no customer “white tails” (yes Boeing has had its its issues with selling the early troubled B787-8’s), on what must be a good deal for the airline which already operates 13 x B787-8’s with GEnx-1B engines. Airbus had 421 orders (103 firm orders and 263 commitments/order LOI’s), “worth” (loose term-explained below) $US 57.0 billion, with a last day of the show order from WizzAir for 110 x A321neo tipping the scale for the #1 spot at the show. Most of the orders/commitments were for the A320 family ($US 41.4 billion), 366 to be exact of which 323 were for the NEO’s, taking the A320NEO orders past 4,000 since launch in December, 2010. The $US 15.5 billion in wide body orders were 55 units (31 x A350-900’s, 20 x A330Regional, 4 x A330-300’s), the good news was the Saudia (Saudi Arabia) launch order for the A330 Regional the bad news was no A380 and A350-1000 orders. Airbus has a backlog now of over 6,400 aircraft, 8-10 years of production ! Orders for the 1st half of 2015 are: 1 x A318, 2 x A319neo, 29 x A320, 183 x A320neo, 16 x A321, 60 x A321neo, 8 x A330-200, 20 x A330-300, 4 x A330F, 25 x A339-900 (A330-300neo), 1 x A350-900. The total is 348 aircraft with a ‘List Price” value of $US 47 billion. Worrying is NO orders for A380, A350-1000, A330-800 (A339-200neo) and then only 2 x A319neo’s ? Boeing had 331 orders, “worth” $US 50.2 billion, ( 36 x B787’s, 10 x B777X’s, 2 x B777-300ER’s, 9 x B777F’s, 20 x B747F’s and 253 x B737NG and B737Max’s). Boeing won the wide body race with 77 orders, though the order for the 20 x B747-8F’s from Russia’s Volga-Dnepr big and suspicious but a boost to the struggling production line now at 1.5 units per month. The good news was the Aer Cap (leasing company) order for 100 x B737Max8’s, bad news is the low number of B777-300 orders as Boeing needs to keep the line alive and going until the B777X is ready. Boeing has a backlog now of over 5,800 aircraft, at least 8 years of production ! Orders for the 1st half of 2015 are: 39 x B737-800, 14 x B737-900ER, 123 x B737-Max8, 45 x B737Max9, 4 x B747-8F, 1 x B767F, 18 x B777-300ER, 11 x B777F, 20 x B777-8, 10 x B787-8, 37 x B787-9, 3 x B787-10. The total is 325 with a “List Price” value of $US 56 billion. Worrying is NO orders for B737Max7, B777-9 and only 3 x B777-10’s and only 18 x B777-300ER’s as that line has to role a few years before the new B777X (-8/-9/-10) is ready to roll off the line. The final numbers are always a bit of smoke and mirrors as some of the numbers are deceiving as they can be: 1. firm orders 2. order LOI’s 3. options 4. options LOI’s with only the firm order and order LOI being a ‘true’ legal commitment (though ALL contracts can be cancelled at a price) and usually require a down payment in the year booked (min. +/- 3% of price), while LOI’s and options are “commitments” that can be converted to orders eventually, and some OEM’s like Bombardier’s CSeries, have a long list of “commitments” and “orders” that are highly questionable. The option in aircraft purchasing allows an airline to purchase an aircraft in the future at an agreed price and date. The options allows for airline delays in purchasing the aircraft in case of economic difficulties in the market or airline as well as saving a guaranteed delivery slot, which allows the airline to exercise the option in the future without waiting in line for a long time to get an aircraft. The LOI (letter of intent) is a generally a non-binding statement by an airline that it “hopes/wishes” to buy an aircraft in the future, but is not committing itself to buying the aircraft at this time. Prices are also a mystery, the industry is infamous for its pricing. Each aircraft has a LIST PRICE, but basically no one but the most naïve and inexperienced pays List Price, no matter how small the carrier, which is another reason pricing is secretive, not to embarrass senior airline executives that may have not received as good of a deal as they thought, while big discounts are kept quiet by airline executives as they do not want to embarrass the OEM’s and get them in hot water with other airline customers. The values announced by media and OEM’s are always List price, but these are deceiving, especially to any shareholder of a OEM, as the company’s are obligated to report true numbers, but an announcement of a $1.0 billion deal does not mean that is the revenue the OEM will receive, and I am not sure how in the US, the SEC (securities and exchange commission) deals with false shareholder information. It is understandable that large order receive large discounts, or better known as “strategic pricing” and there are many levers OEM’s can pull in any aircraft contract to lower and actually raise prices, and it is commonly known that discounts today vary between 25% up to 65% in some cases for airlines such as Southwest, Delta, Ryanair on large orders. While the industry is quiet over the ‘real’ prices, several discounts have become public over the years, Aeroflot in 2011 received a 47% discount on 8 x B777’s, Thai Airways in 2007 received a 50% discount on new A330’s, Air India received a 43% discount on 7 x B787’s and Southwest got new B737Max airliners at 64% discount, etc. etc. Bombardier is “absolutely satisfied” with the Paris Air Show ? 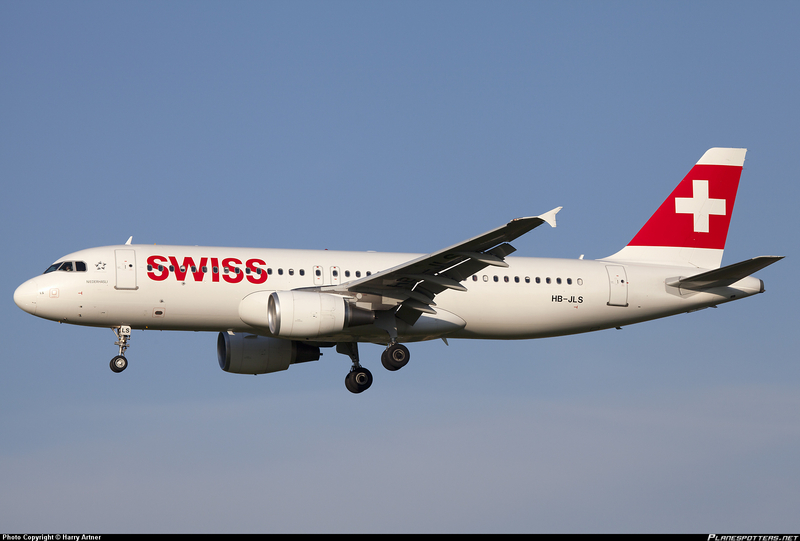 yes, the CS100 (above) in Swiss livery and the CS300 finally made their appearance, that is very good for Bombardier, technically. BUT, Bombardier left the show with absolutely NO new order, shut-out on the CSeries, CRJ and Q400, that is not good, and worrying, and now Embraer has 325 orders for its E2 line after launching the program exactly 2 years ago at the Paris Air Show 2013 versus 243 orders for the CSeries, which was launched July 18, 2008 at the Farnborough Air Show, 7 years ago ! The order book by my estimate is only 130 as 113 orders are highly questionable (read further down). 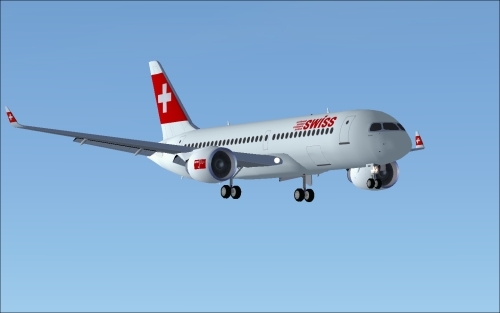 The CSeries is a beautiful and technically wonderful aircraft, certification is coming along, a new sales/marketing team in place that actually knows how to sell aircraft, so the orders will come, but so much time has been lost and the manufacturer has been checked from below with Embraer and Airbus and Boeing from above, it will be a struggle for every new order, performance and fuel efficiency is great, but so is price and delivery and that is where Bombardier will struggle to compete. The recent revelations that Bombardier is talking to some airlines about a bigger family of CSeries aircraft, the 160-180 seat CS500 to compete with A320neo and B737Max, are worrying. The ability to take on Airbus and Boeing requires billions of dollars, possibly China’s Comac can do it in the next 10-20 years with government support, BUT Bombardier cannot. The narrow-body market (150-200 seats) is the most lucrative market today for Boeing and Airbus, they will already face the Comac C919 from China and the MC-21 from Russia, neither of those will offer anything new and will survive mainly on their domestic market but globally they cannot compete with the current 6,627 orders for the B737Max and A320neo on price, support, residual values, re-marketing potential, etc. In this blog you will read about the discounts and pricing power that these two giants of the industry wield, let’s hope it is only a dream, because with $5.4 billion already invested in the program, the viability of the CSeries program as it is now, is highly questionable, with breakeven surely past 500 units, and one is looking at 2022 to breakeven-at best, at worst, never. Don’t do it ! you will loose the company for sure, and Combardier will become reality (a buyout of Bombardier by China’s Comac). Now, back to the 2015 Paris Air Show, which had to be very disappointing for Bombardier, as it had NO new order to announce at the show for the CSeries, Q400 or CRJ line, yet the manufacturer pronounced itself as “absolutely satisfied” with the Paris Air Show ? yes, the CSeries (CS100 and CS300) finally made their public debut at the show, which is a very good achievement after cancelling last year at the last minute. BUT, there is no way Bombardier can be satisfied with the show, and CEO Alain Bellemare knew going to the Paris Air Show it was not going to sell anything when he was quoted to say “Paris, to be honest with you, it’s one milestone, but it’s not critical” ouch ! that set the expectation that Paris was NOT going to be a sales success. The policy of Quebecois nepotism has created a mediocre management at so many levels, where people were promoted for the wrong reasons, and now when you need everyone to give it all, few have anything to give, due to a lack of experience, knowledge, training and abilities, in the end it is all about the quality and motivation of your people. In fact, the only news Bombardier could muster was 6 Q400 options hed by WestJet Encore were converted to orders and that Swiss International Air Lines which will be the launch customer for the CS100 has converted 10 of the 30 orders for the CS100 into CS300 orders, again showing that the CS300 (200 orders, 82% of orders) is the preferred aircraft over the CS100 (43 orders, 18% of orders). Presently the CSeries has 243 orders and 162 options for 405 “commitments”. Oh, yes the really sad news from Bombardier at Paris was that little known airBaltic, he government owned airline of Latvia, will be Bombardier’ launch customer for the CS300, so much for having a quality airline for that role, airBlatic was bailed out of bankruptcy in 2010 by the government, now operates 24 aircraft (B737-400/400’s and Q400’s) and has lost $US 220m since 2010, with a profit of $US 11m in the past 2 years on revenue of $US 688m, which is a 1.6% net profit margin, and it is going to take on 13 CS300’s plus 7 options with a “list price” of $US 1.44 billion (with discount probably around $US 850 million) ? are you kidding me ? this airline is the 36th largest in Europe and barely scrapping by, the quality of customers for the CS300 is rather low after Lufthansa (Swiss), Korean and Malmo Aviation, the quality of orders is one reason the current 243 orders are NOT real, and my assessment is that currently 113 CS100/CS300 orders are highly questionable, and will not materialize, and Bombardier knows it, but understandably needs to keep them on its books. I must add that the CSeries is a very good aircraft technically and economically and new orders will come by the end of this year for sure, the problems I have been talking about are for sometime have and are being addressed, a new CEO, more experienced sales and marketing, and changes throughout the ranks, unfortunately including large layoffs, but there is light at the end of the tunnel now at Bombardier. But for the stock to rebound investors have to see a better future, so that the stock price and market capitalization goes up to at least $US 6.75 per share and $US +15.0 billion in the next 3 years all doable, but the CSeries needs to sell to high quality airlines, production has to deliver, the Global 7000/8000’s have to sell well and the train division needs to be spun off partially to get the valuation it deserves. Republic Airways, 40 x CS300 + 40 options – no longer “real” airline, now ACMI regional for US majors, sold Frontier. Gulf Air, 10 x CS100 + 6 options – restructuring, losing money. SaudiGulf 16 x CS300 + 10 options – major delays in liberalization within Saudi Arabia as Saudia is well protected. Ilyushin Finance 32 x CS300 + 10 options – economic sanctions on Russia, loss of financing, now focused on Russian aircraft. Oddyssey Airlines 10 x CS100 – capital, business model is questionable. Iraqi Airways 5 x CS300 + 11 options – failed state, war, break-up of country into 3 parts is real. Therefore, in my opinion, at best Bombardier has only 130 ‘real’ orders (107 x CS300’s and 23 x CS100’s) and 115 options, for 245 “commitments”, it is a sales crisis that surely will see new CSeries orders, but with breakeven for the $5.4 billion program now surely above 500 units, it will be a drain on Bombardier Aerospace through 2022 at best, and now they want to build a CS500 a 160 to 180 seat stretch of the CS300 and go head to head with Airbus and Boeing, good luck with that one, time for shareholders to be worried that the CSeries will maybe never breakeven, I just discussed aircraft discounting of up to 65% and no way can Bombardier compete in that market on price. ATR is still doing well,46 orders and 35 options at the Paris Air Show after 160 orders last year alone, and 83% of the sales last year were for the larger ATR-72-600 over its smaller ATR-42-600 as it is now basically the only game in town in the large turboprop market, the Bombardier Q400 continues today with existing customer sales, but it is rare for a new customer to order the Q400 today. Paris saw 2 new ATR customers, Japan Airlines, the 1st ATR order for that big market and Bahamasair a long time DHC-8-300 operator, needing new aircraft, but Bombardier has exited that market. While Bombardier struggles, ATR is doing very well, $1.8 billion in sales in 2014 with 160 orders (133 x ATR-72-600’s and 27 x ATR-42-600’s) plus 120 options and a backlog of 280 aircraft worth $6.8 billion , the turboprop manufacturer clocked up 46 firm orders and 35 options at Paris worth $US 1.98 billion. Bombardier’s retreat from the turboprop market has left ATR as the only game in town (forget the AN-140 or MA600), and it is doing very well, in fact at Paris, it finally broke into the highly lucrative Japanese market that has evaded it for years, with a strategic sale to Japan Airlines for operation by Japan Air Commuter) of 8 x ATR42-600’s and 15 options. Also, long time Bombardier DHC-8-300 customer, Bahamasair ordered 3 x ATR-42-600 and 2 x ATR-72-600’s following several ex de Havilland DHC-8 operators move to the ATR (e.g. LIAT, Caribbean Airlines, etc.) 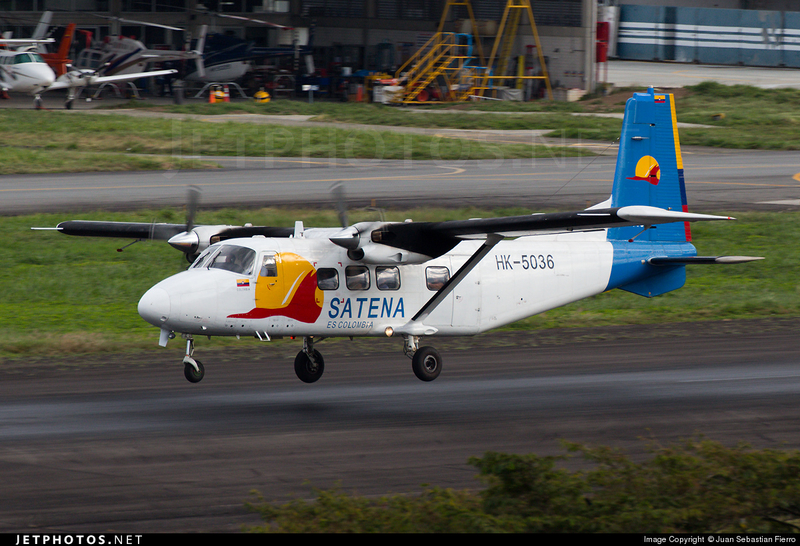 as the DHC-8 fleet ages, and the ATR is the only possible replacement around. As for the out of production older DHC-8, the aircraft has done well with 671 sold (299 x DHC-8-100’s sold, 105 x DHC-8-200’s sold, 267 x DHC-8-300’s sold), while currently the Q400 has 539 sold, which is a total of 1,210 sold as of today, 1,158 delivered but ATR is catching up fast now, it has sold 1,500+ and now delivered 1,200+ to 190 operators in 90+ countries. The Paris Air show saw 25 more orders for the E2-190/E2-195 (above photo) for 325 firm orders exactly 2 years after launching the program at the last Paris Air Show in 2013, and sales are looking good, the program is a success. Though it will be a tough battle in the 100-149 seat market between CS100/CS300 and the E2-190/195. Embraer had a good show with 68 orders and 35 options, with United Airlines ordering 28 x E175’s, 7 orders plus 10 options from Colorful Guizhou Airlines (China) and Skywest with 8 x E175 orders, while leasing company Aircastle orders 15 x E195E2’s and 10 x E190E2’s the only orders for the E2’s at the show, but now the E2 program has 325 firm orders a significant up on the CSeries. The announcement that Viking Air has “sold” 50 of its Series 400 Twin Otters (above photo left) is big news, who would ever think someone would pay $US +7.5 million for a 19 passenger, un-pressurized airliner that cruises at 180kts ? 6,327 ASK’s per flight hour, not very productive and very expensive. This is some PR stunt, like the big Russian deal that never was, as China already has its own Y-12-IV (FAA certified March 1995) and the newer Y-12E (FAA certified August 2006) (above photo right) for a whole lot less than $US 7.5 million per unit. I know this market well, China has about 15 various Y-12’s flying in China commercially today, that is it, the aircraft is good, PT6 engines, fixed gear, STOL and worthy competitor to the Series 400 Twin Otter, which has done well about 55 deliveries but running out of steam as it just announced layoffs and a reduction from 24 units per year to 18 per year due to falling demand, hmm maybe its the high price ? The Y-12E is a good airplane and a whole lot cheaper, AVIC needs to sell and market it, I have tried to acquire a few, BUT the Chinese know nothing about sales and marketing, its a shame. Anyway why is anyone bring the Series 400 into China when they have a local product ? 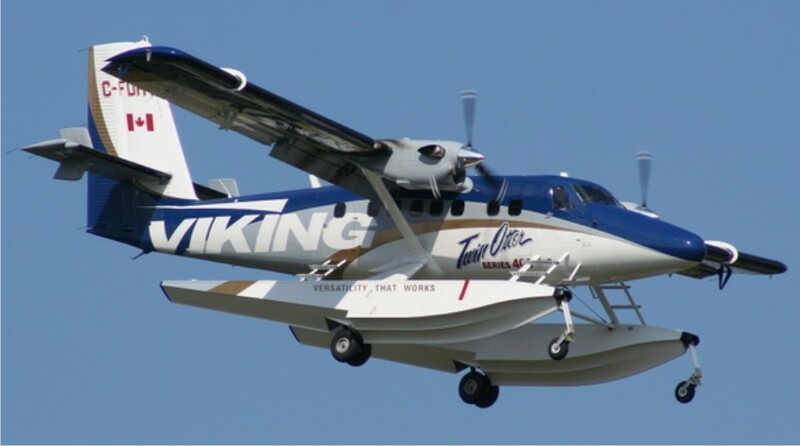 One very interesting development at Paris, was the news that Canada’s Viking Air “sold” (?) 50 Series 400 Twin Otters from Reignwood Aviation Group of Beijing, China. Apparently this deal will give the Series 400 Twin Otter traction in the Chinese market, and that the market can be as high as 500 aircraft over 20 years ! What a joke, the Chinese already build a very similar aircraft in the PT6A-27 powered Y-12 IV (FAA certified March, 1995) and the PT6A-135A powered Y-12E (FAA certified August, 2006). I have been in this industry along time, especially in the regional airline side, and I can spot BS a mile away, this makes no sense, the Series 400 is priced at $US +7.5 million per unit plus options and how that will make money in China is beyond me. The seaplane market is growing, and the Chinese have yet to certify the newer Y-12E on floats but they should, once the Viking exclusivity agreement with Wipair (float OEM) ends. 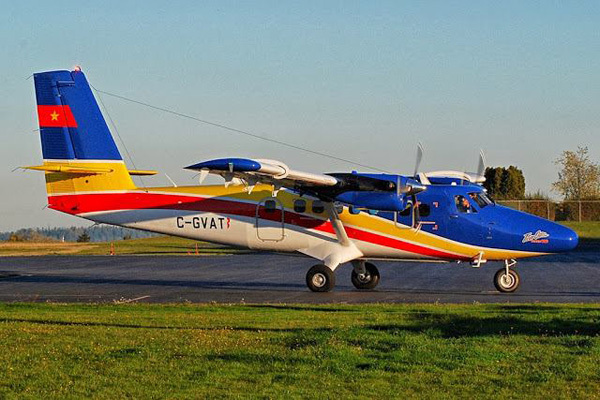 Yes, the Twin Otter is the biggest airplane on floats, and the Y-12E needs to be put on floats as well, as soon as possible, it is not a huge market but Viking Air has done well with its amphibian version of the Series 400 (above photo). Lots of potential in the market for a 15-18 seat seaplane/amphibian aircraft in SE Asia, a market the Y-12E should be going after. NO way in hell is there a market for 500 aircraft in the 18 passenger category in China, we heard similar exaggerations from Viking on the potential in Russia, which has fizzled for various reason, but come on $7.5 million 18 seat, unpressurized aircraft, flying 180 kts ? anyone can do the economics, this is NO commercially viable aircraft, and this announcements is highly suspicious, especially given the fact the company just announced layoffs and a cut back from 24 units per year to just 18, in short, the market for this aircraft is limited to government orders (military, police, maritime patrol). The competition is the 500+ Twin Otter still out there, the new LET-410NG, PZL M28 and the Y-12E programs which can do better with revamped marketing and sales, and then the new Indonesian N219 (a Casa 212 without the rear loading door) and the RUAG 228NG (ex-Dornier 228) and possibly the Mahindra/GippsAero GA18 (ex-GAF N24A Nomad), and one can see competition is out there and getting stronger. (Article on this segment coming this summer). The Chinese have formed a joint venture with the Russians to market and sell their Sukhoi SSJ-100 (above right) to China and other countries, BUT they have their own ARJ-21 (above left), that seats 78 to 90 while the SSJ-100 seats 86 to 98, again like the Series 400 Twin Otter coming to China when they have their own Harbin Y-12E, it does not make sense at this time in the development phase of the Chinese aerospace industry, anyway the Chinese and Russians will work together, but I do not expect much from this JV, which is between United Aircraft Corporation (Sukhoi’s parent company) and China’s China’s New Century International Leasing and Xixian Area Administration Committee). How does Beijing feel about Chinese companies helping foreign OEM’s compete with the few Chinese aircraft in production like the Y-12E and ARJ-21 ? I am sure it will have something to say about it all. The ARJ-21 had a long 8 year certification process with the FAA, in the end they decided they can do without FAA certification so its export potential is 10% of what it could have been, it is the length of a short DC-9-15 (34 meters) with GE CF34-10 engines. So far only Chinese customers have bought, it will fade away in a few years. 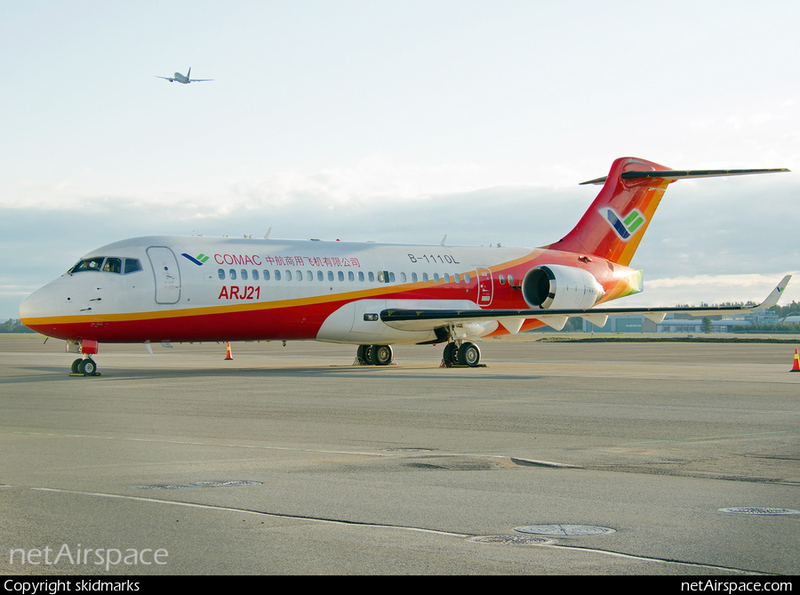 The Chinese are doing strange things to hinder their aerospace industry, recently a Chinese-Russian Leasing company was set up to market the 86 seat (dual class) Sukhoi SSJ-100 regional jet in China, where the 78 seat (dual class) ARJ-21 is built, I do not see how these arrangements help COMAC/CATIC/AVIC to develop and sell their products, time to look at those arrangements in more detail and question why they exist. On that note, Comac did have 57 LOI’s at Paris for the new C919 narrowbody airliner and 7 LOI’s for the ARJ-21 from a Chinese leasing company (Ping An Leasing) and Puren Airlines. 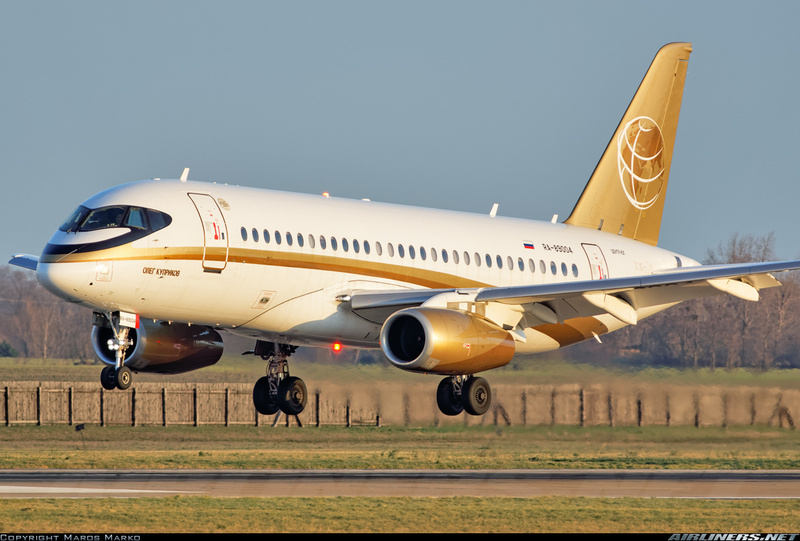 The Sukhoi SSJ-100 or politically correct Superjet International had 3 orders for the SSJ from Yakutia (Russia) and existing customer. I have written about this program several times, but just know that as of January, 2015, 76 were produced, 54 were delivered and 41. By June, 2015 production was up to 85 units with 52 in service (Aeroflot x 19, Interjet x 15, Gazprom x 8, Center-South x 3, Red Wings x 3, Yakutia x 3, and Russian Interior Ministry x 1) with 155 in backlog and 15 options and 77 LOI’s. Right now there are 30-33 SSJ-100’s sitting as “white tails”, meaning they have NO customer yet, a BIG embarrasment for the program, when up to 39% of your aircraft produced, sit with NO customer ! Production was to be 45 in 2015, now only 36 at best, but with so many “white tails” is there a market ? Well the Russians are offering very attractive financing and discounts as Superjet International has put together a multilateral export credit guarantee through COFACE (France), SACE (Italy) and EXIAR (Russia). Discounting is a big part of Superjet’s sales strategy, in 2014, it had revenues of $US 567.8 million, lost $US 72.5 million (most likely MUCH higher) on at best 36 deliveries (max. planned output for 2014) or $US 15.8 million per aircraft, with the LR version List Price of 36.2 million, we have a discount of around 56% on a SSJ100/95LR ! so I doubt the loss was only $US 72.5 million ($US 2.0 million pr aircraft) more like $US333 million by my calculation, but who really knows between Russian and Italian accounting policies, in the end Russia is putting in up to $US 2 billion t keep it going. Even with ex-Embraer VP of Sales, Eduardo Munhos de Campos now at Superjet, the program will struggle with western sales, a stretch version is planned, re-engining will have to take place at some point to stay competitive with new aircraft, as this is an aircraft of older generation (e.g. CRJ-900, E1-190) that will NOT be able to compete with new E2’s, MRJ’s and CS100’s. Any western operator will face some boycotts of the aircraft in Europe and elsewhere as conflict in Ukraine escalates and tensions between NATO and Russia stay the course. This program is a priority for the Russian aerospace industry, President Putin has committed $2 billion into the program as the program had technical and financial problems, and why 50% partner Finmeccanica is looking at the venture as a failure, and may pull out, leaving the Russians to screw it up even more. Working with the Russians is not easy, the program has suffered technically due to inefficient processes, lack of governance and a lack of success in the market, and given the political tensions between Russia and the West, it really would be suicide for any western airline to buy the aircraft, as sanctions on aerospace loom as does the possibility of some military conflict. I believe that a US consumer boycott should be started against Interjet’s (Mexico) SSJ-100 services to the USA, it one way to let Russia know what we think of its aggression, Sukhoi is a builder of military fighters and with the Cold War on again, the individual consumer can have his/her say by saying, NO I will not fly on a Russian airliner ! Russia is escalating its aggression towards NATO, TU-95 bombers fly with nuclear weapons on board to the borders of western countries waiting to be intercepted, while Russia today believes that the use of tactical nuclear weapons against NATO is doable today without triggering World War III. Any SSJ-100 in Western service should be blocked by western governments or the operating airline severally boycotted by consumers, this NO TIME to support the Russian aerospace industry, Russia has made it clear it wants Russians flying on Russian aircraft, many western aircraft have been returned, and the west should continue to reject Russian civilian aircraft as well. Those European countries that have a border with Russia are worried, look they have annexed Abkhazia and South Ossetia from Georgia and integrated them into mother Russia, the same with Transnitra which was part of Moldova, last year the Crimean from Ukraine and Russia is hard at work trying to separate eastern Ukraine into a separate Republic that will join mother Russia, enough is enough. The play book is the same since 2008 when Russia invaded Georgia and got 2 break away regions, time to draw a line in the sand, Russia wants to be the USSR again, is that what the world wants ? The Paris Air show was a good show for some OEM’s, especially Boeing and Airbus, but there are signs that the large order books and their backlog could have issues with increasing production. Boeing wants to increase B737NG/Max production from 42 per month today to 52 per month by 2018, while Airbus wants to take its A320ceo/neo line from 42 per month now to 63 by 2018, can the supply side hold up to the challenge ? With presently 6,627 A320neo and B737Max orders, that is a very large backlog to clear at today’s 84 units per month for both OEM’s, roughly 79 months worth of production (6 years and 7 months) and Airbus and Boeing are not yet producing either of these models yet, so deliveries are going to be much longer out in time for the new/Max lines with the A320neo having about 1 12 month lead on Boeing for EIS (entry into service). The production increases being announced by Boeing and Airbus to rev-up production has to be worrying for suppliers, while the duopoly is confident in its forecasts, anything predicted out to 20 years is a’guest’ at best, just look what has happened in the past 20 years (1995-2015) and you see major global events determining demand. In the past we have witnessed the cyclical nature of this business, since the mid 1960’s we have ‘roughly’ had a pattern of 7 up and 3 down (years), but as Richard Aboulafia of TEAL Group pointed out recently, we are now in the 11th year of straight growth, a 9.6% CAGR (compound annual growth rate) an incredible ride ! In 2004, the value of large aircraft delivered was around $US 40 billion in 2014 it was almost $US 100 billion, yet we at some point the global economy will have a hick-up. The unprecedented growth in the past 11 years is mostly due to 1. high oil prices as demand increased dramatically in China and India and 2. low interest rates as economic stagnation and collapse threatened many countries (e.g. Spain, Ireland, Italy, Greece and even the USA), so central banks kept interest rates low. In that environment airlines went out to but buy efficient new airliners (e.g. B737Max, A320neo, B78, A350’s) are record levels, in no small part driven by huge discounting by Boeing and Airbus, and hundreds of speculative orders from airlines around the world “hoping” that their current growth rates will continue ! there lies the danger. By then the Chinese built COMAC C919 narrowbody will be out there competing for Chinese orders as will the Russian built Irkut MS-21 competing for Russian orders, so new competition that does not exist today will take some of the demand away from the duopoly, will have problems with overcapacity and the supply chain will not be happy, someone has to be realistic. Do not put your whole future in 20 year forecasts, it is just “garbage in, garbage out” ! 4. TOTAL (Boeing = 35,560 = 148 aircraft per month, Airbus = 32,585 = 135 aircraft per month), at 148 units per month that is +32% more than in 2014. No growth goes up exponentially forever, China’s economy is slowing down, Russia is struggling as is Brazil and some experts think a slow down is coming, many aircraft orders are speculative, airlines being too optimistic about the future, like Lion Air which operated 100 aircraft but has over 500 on order, is anyone worried that another 9/11, or major conflict or economic meltdown is around the corner ? China’s stock market is over heated, valuations too high, everyone is investing in the stock market like real estate, but at some point it may all come crashing down, and then all those forecasts are useless, and backlogs then become questionable. My caution to the wind, we have seen it all before and we will see it again. Thank you for reading my blog once again, always welcome. 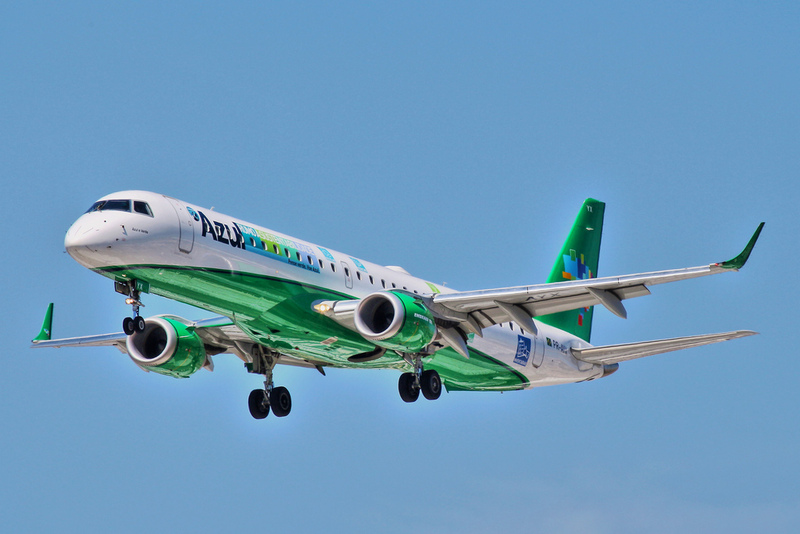 « SUMMARY: The good airline news out of Europe is that TAP Portugal is finally 61% privatized and in good hands for the future while the Irish Government gives the go ahead for IAG’s buyout of Aer Lingus. The bad news is that Lithuania’s small national airline, Air Lituanica becomes the 5th European airline this year to shutdown (27 in 2014), while Croatian Airlines and Adria Airways nervously wait for their privatization as it is “swim or sink” time for them and others like LOT, TAROM, Estonian Air, Czech Airlines, AirBaltic, etc. as they have all taken or will take their last “one time” EU allowed state aid packages, and from now on for most, if they run out of money, they have NO choice but to file for bankruptcy. The low cost carriers (LCC) in Europe continue to grow at a fast pace and challenge the existence of national carriers as incumbents cannot muster any significant competitive response against the LCC onslaught in Europe. Meanwhile, fully government owned AirBaltic of Latvia becomes the launch customer for Bombardier’s CS300 (20 on order, 13 + 7 options), the $US 1.44 billion aircraft cost and launch customer designation is not realistic from an airline based in Latvia that lost $US 220 million since 2010, bailed out by the Government in 2011 and has made only $US 11 million in net profit in the past 2 years on revenues of $US 688 million (a slim 1.6% net profit margin), it is a barely a financially viable carrier without the new and expensive CS300’s. The airline has 24 aircraft today (B737-300/500, Q400’s) making it the 36th largest airline in Europe (following ‘big’ names like Onur Air and Norwind Airlines ?) is this a joke ? Bombardier has NO “better” customer for the launch of the CS300 ? the quality of its current customer order book is sad indeed after Lufthansa and Korean. 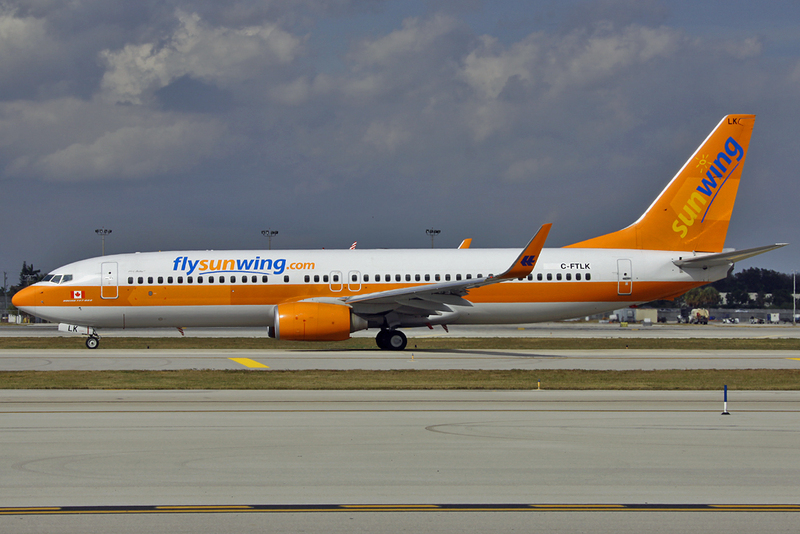 It reminds me of the Sukhoi SSJ-100 tragic launch customer Armavia (of Armenia), which was an absolute PR and marketing disaster, as it accepted the 1st aircraft, could not finance the 2nd aircraft, and then went bust. Anyway, the plight of the small/medium government owned and private airlines in Europe continues, what is their future ? or is there one ? Air Serbia pulls off an incredible corporate turnaround in 1 year under its “white knight” equity partnership with Etihad Airways, but other airlines may not be so lucky, time to look at new business models for survival before the wave of European bankruptcies begins as surely 50 European countries cannot all have a national airline ! Dos Aviation Doctor have a E Mail ?